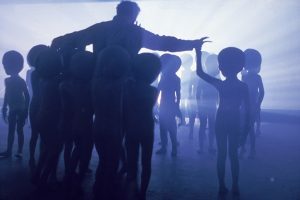 Close Encounters of the Third Kind in Concert - Film Concerts Live! Film Concerts Live! Film Concerts Live! is honored to bring Steven Spielberg’s 1977 masterpiece, Close Encounters of the Third Kind, to concert venues around the world. Widely considered one of the most treasured and influential science fiction films of all time, Close Encounters of the Third Kind features a groundbreaking score written by John Williams, which will now be performed live to picture. 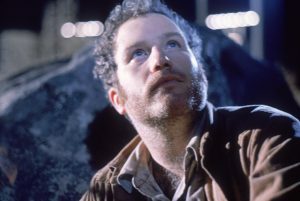 Written and directed by Spielberg, the film tells the story of Roy Neary (Richard Dreyfuss), an ordinary blue-collar electrical lineman from Indiana who experiences a close encounter with an unidentified flying object. Increasingly obsessed with this unexplained phenomenon, Roy is drawn to a series of seemingly random strangers, each of whom has come in contact with similar UFOs, eventually making his way to Devil’s Tower in Wyoming, where he finds the answers he seeks and where his life is forever changed. Nominated for eight Academy Awards® including Best Original Score, Close Encounters of the Third Kind remains as engrossing and inspiring today as it was forty years ago. Now, for the first time ever, audiences will be able to experience John Williams’ magnificent score performed in its entirety by full symphony orchestras, live and in sync with this extraordinary film.